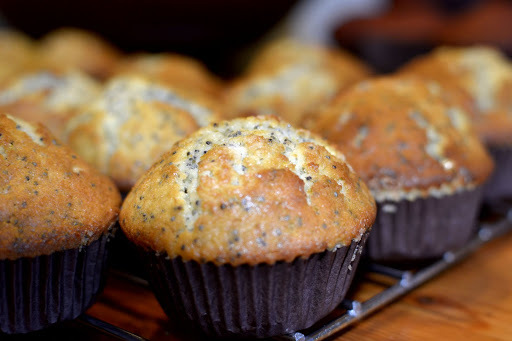 These cupcakes are actually muffins in disguise. They work super well un-iced for breakfast. I like to keep a collection in my freezer to reheat at a moment’s notice. Preheat the oven. Grease and line 2 cupcake trays (this makes 24). 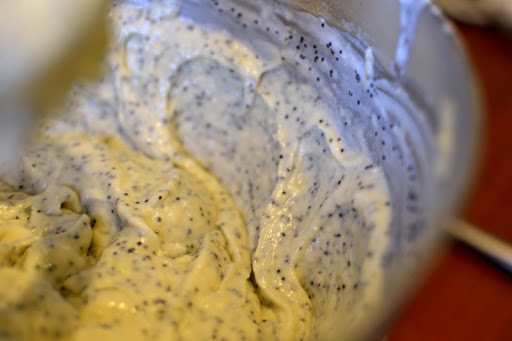 Put the poppyseeds in a bowl and stir in the milk. In a standing mixer, cream the butter, sugar and zest until white and fluffy. Add in the eggs, beating well. Add in the flours, buttermilk and poppyseed mix in 2 goes, alternating each. Beat for a minute so the mixture is super smooth. Divide the mixture between the cupcake tins. Bake for approximately 20 minutes, until the cupcakes spring back when touched and a skewer inserted comes out clean. For the icing, mix the lemon juice with the icing sugar. Whisk until smooth. If you like, you can dip the cupcakes in this mixture and make do. (Illustrated in the photo below.) However, if you’re a fan of buttercream, cream the butter in the standing mixture until white. Add in the icing sugar/lemon mixture and mix until white and evenly distributed. 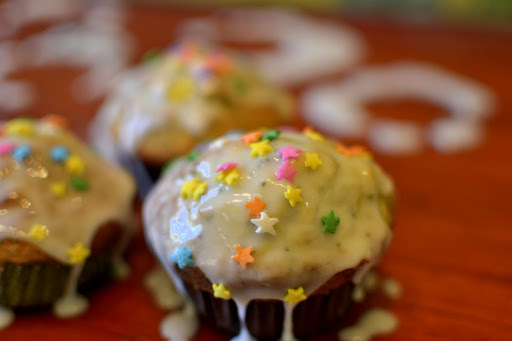 You can also leave the cupcakes plain, for breakfast snacks. you know, the irony is i regard muffins as an excuse to eat cake for breakfast. muffins in disguise? please.